Stone & Craft stocks a large range of stacked stone (also known as stack stone or stacker stone) and other feature wall products. Some of our available designs are exclusive and created by our in-store stonemason. We are able to design stone feature walls to your exact needs or using our range of quality imported natural stone products. Feel free to call us, or visit our showroom for a consultation. Most of our stacked stone tiles are supplied 150x600mm in size. They are easy to glue onto any surface. We also supply edges or corner pieces made from sandstone, blue stone, quartzite or slate. Our stonemason will prepare these trimmings to your needs. Below are some images of samples from our stacked stone and decorative feature wall range. 1. Cream Chisel stacker stone made from quartsite. Hard great for harsh weather conditions. 5. YLQ Quartzite stackerstone used in combination with sandstone corners. 8. Cream quartzite stacker stones. Hard, suitable for water features and harsh weather conditions. Non absorband stone, there fore is not showing aging process by attracting black and green algae. 8. Cream quartzite stackerstones. Hard, suitable for waterfeatures and harsh weather conditions. Non absorband stone, there fore is not showing aging proces by atracting black and green algy. 14. Floating fine stacked quartzite. 15. floating fine stacked quartzite. 16. Floating fine stacked quartzite. Please notice blue stone cuppings. Available from our store. 17. Floating fine stacked quartzite. 18. floating fine stacked quartzite. 19. Floating fine stacked quartzite. Please notice blue stone cuppings. Available from our store. 20. floating fine stacked quartzite. Please notice blue stone cuppings. Available from our store. 21. Green stacker with gray tone. 23. Quartzite fascia tile 200x300mm. 38. Gray hard side stacked stone. 39. Gray hard side stacked stone sealed with slate sealer to achieve vet look. 40. Gray side stacked stone made from hard slate. 41. Grey fine face Quartzite stacker. 51. Earth green fascia light. Quartzite cladding is attractive option. Quartz is one of the most durable stone available in the building industry. 52. White crystallised quartzite stacked stone is extremely dense. Detail. Tiles 150x600mm. 56. This stone can be obtained in dark grey colour. 62. Earth green fascia quartzite, excelent for clading. Quartzite cladding is attractive option. Quartz is one of the most durable stone available in building industry. 63. 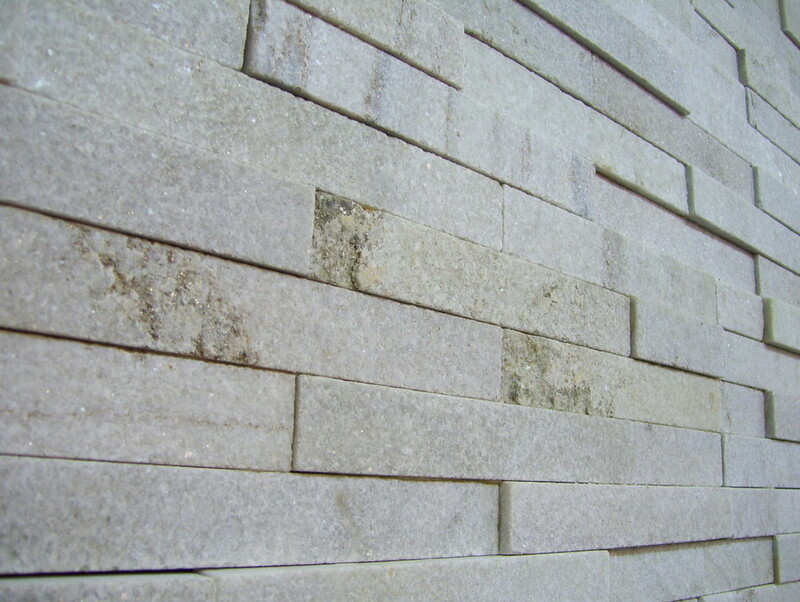 Cream quartzite stacked stone trimmed with sandstone strips for special effect. 73. Easy to glue over wallsurface to achieve stone wall like effect. Perfect for amateur renovator.